Why hide in the crowd when you were born to stand out? On November 4, the high-flying animated adventure Birds Of Paradise arrives on DVD everywhere from Lionsgate Home Entertainment. 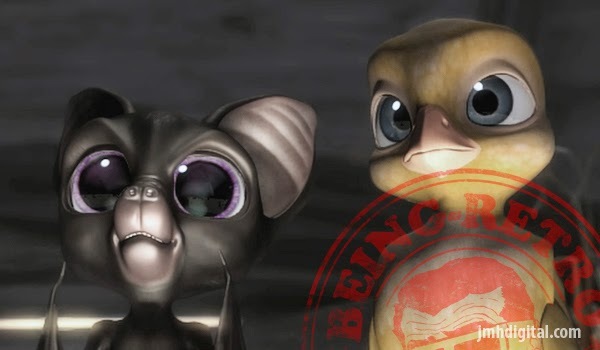 Awarded with the DOVE Seal of Approval, this film features an all-star cast including Drake Bell, Ashley Tisdale, Ken Jeong, Jane Lynch, Jon Lovitz, Keith David and Dallas Lovato. 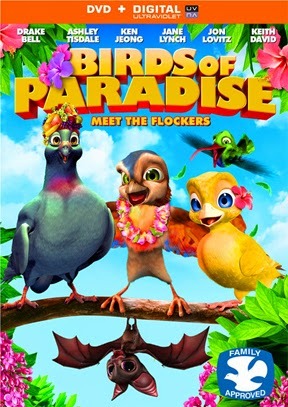 Hailed as “a charming animated tale…for the entire family” by The Dove Foundation, the Birds of Paradise DVD featuring all-new bonus material including a look behind-the-scenes of the voice recording sessions as well as a sneak peek at award-winning animated Miniscule shorts. Like a bird on a wire... meet the FLOCKERS!